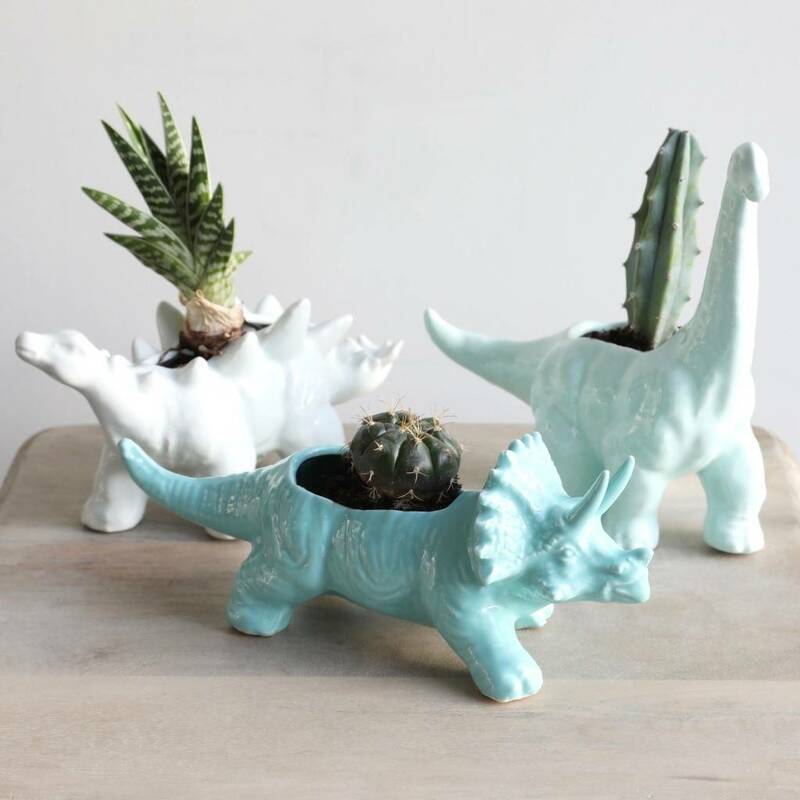 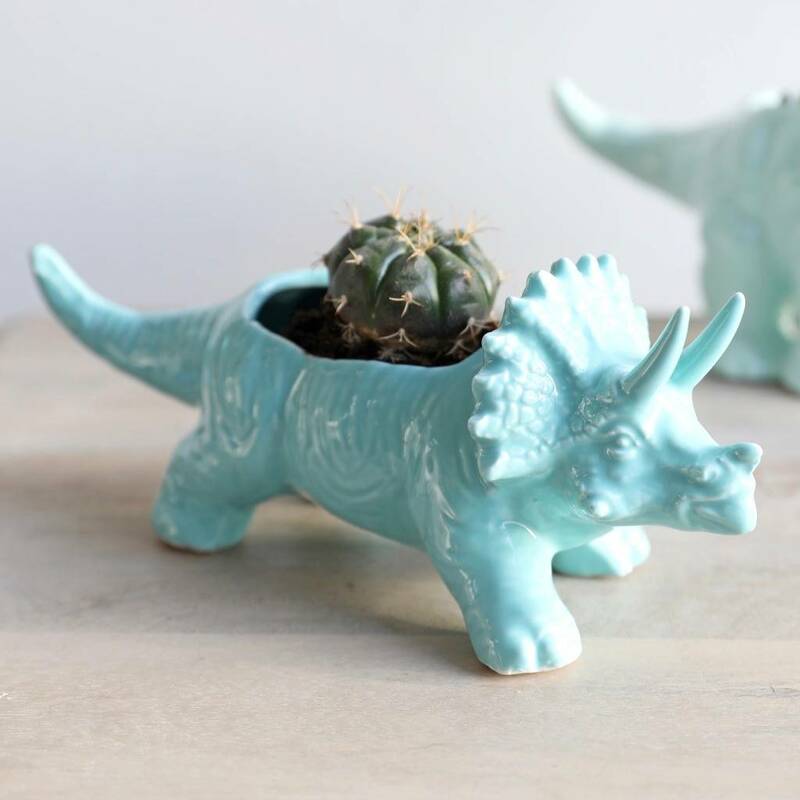 A fun dinosaur planter for any room in the house, from Lisa Angel Home. 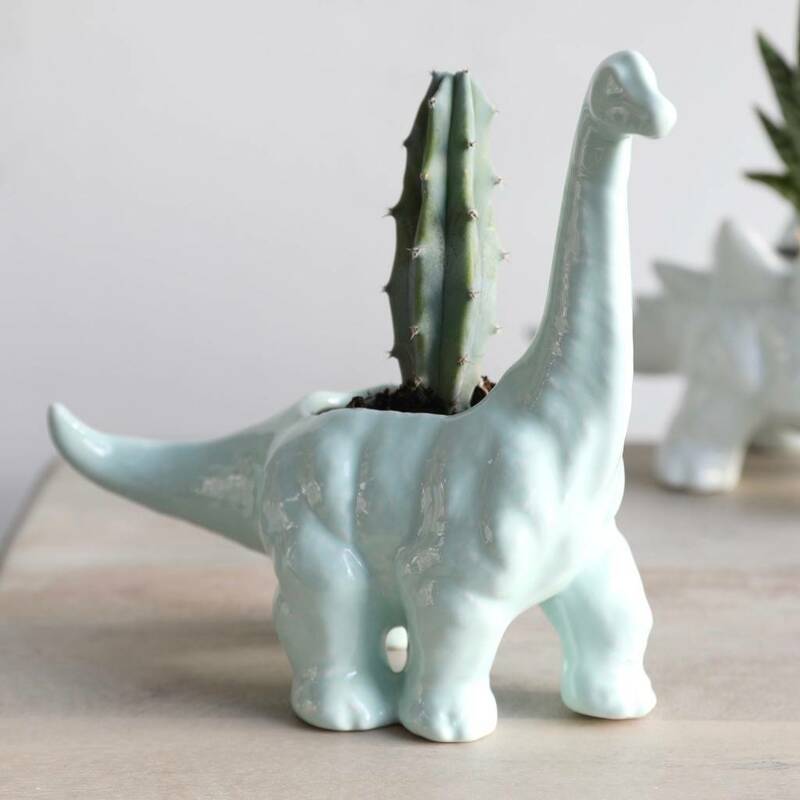 In a range of dinosaur species, this novelty planter is the perfect place to pot a wild plant or succulent. 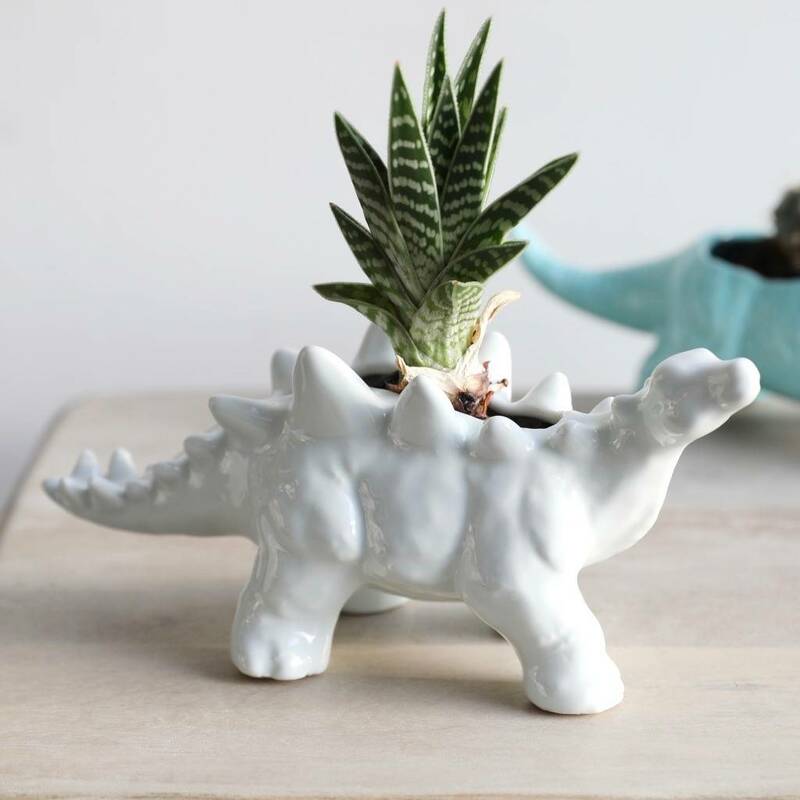 Made from ceramic will a painted gloss finish, choose from a diplodocus, triceratops or stegosaurus to pot your plant in.